I have just returned from the most fabulous holiday in Cuba with my husband to celebrate our 10th wedding anniversary. 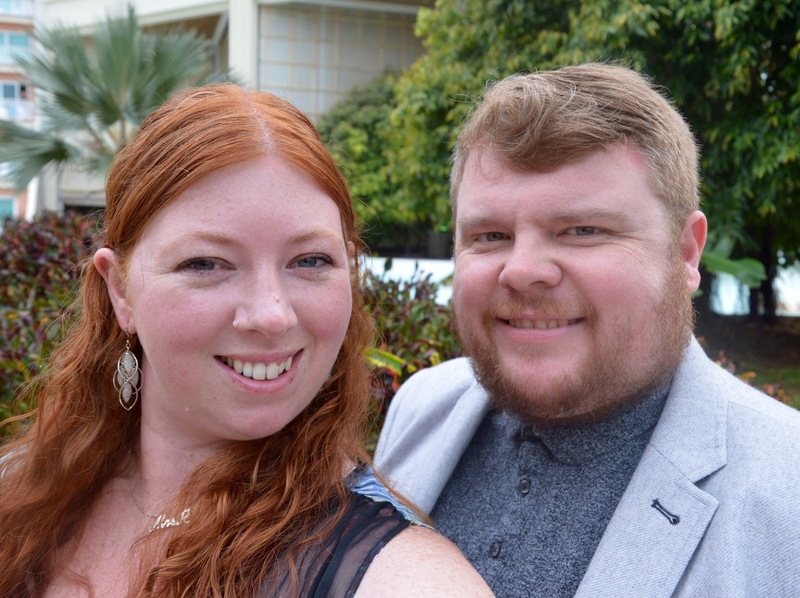 I'll be sharing a few posts featuring what we got up to over the next few weeks but I thought I'd start with a few photos from our trip and a couple of my favourite holiday outfits. As a guide, I wear clothes ranging from a size 16 to a size 22 (why are all shops not the same standard size!). My 'go-to' size would be an 18. The weather in Cuba in April/May is sunny and hot with temperatures reaching the late twenties every day during our trip mid-April. It can also be windy at times, especially near the coast but the breeze is a welcome break from the sun and never constant/too much. It rained twice during our week long stay. Once for 10 minutes in the morning and another for a few hours on the day of our departure. 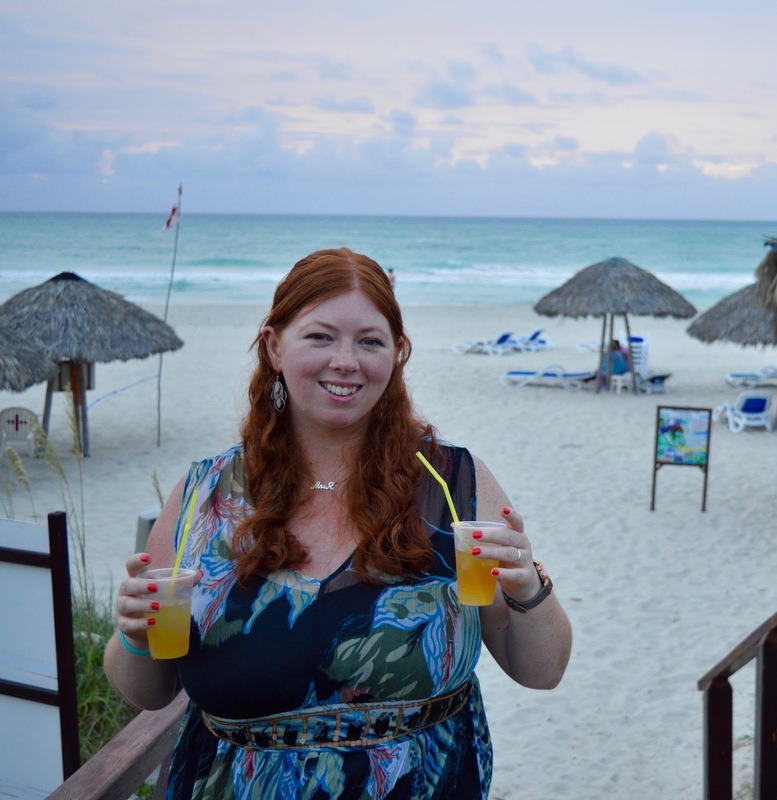 We stayed at the Blau Varadero hotel which is a 4* adults only hotel with a smart dress code in the restaurants in the evening. In the evenings, we would often head to one of our hotel's lovely outdoor bars to watch the sunset whilst enjoying a couple of cocktails. If I knew this was going to be our plan for the evening I would always wear a long skirt or maxi dress to keep those dreaded mosquitos away from my legs. My favourite of these outfits was a printed maxi skirt from JD Williams. It's a pull on style with a large waistband and very easy to wear/flattering. At only £22 it's a bit of a bargain too. I teamed it with this sleeveless top from Dorothy Perkins in Navy blue. I've got a bit of a tummy and would never normally tuck a top in like this but I think the combination of the cut/material/pattern if this skirt is super flattering that I can just about get away with it. My second maxi dress was just a cheap one from Primark which I wore when we were planning a low-key evening at the beach bar. Again, this dress was super easy to wear and it works just as easily through the day as it would in the evening. I think this particular dress was around £10 and I bought it towards the end of March. Primark often go up to size 20 in a few of their dresses now so it's always worth a look. I remember a few years back and 14-16 was the largest size available and I'm pleased they have extended their sizing. 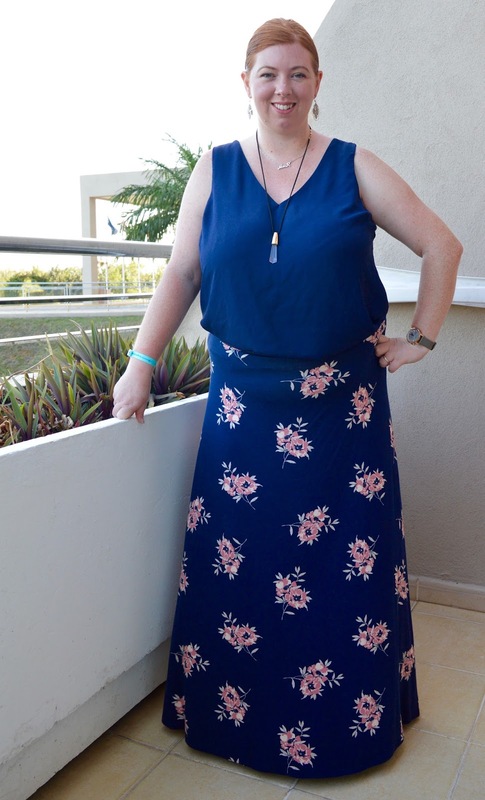 My third maxi dress (worn for the beach sunset party) is a trusty faithful from Simply Be. I love it as it's layered but still lightweight and is covered with a pretty pattern and a jewelled waistband. I always feel dressed up wearing this dress. On the beach and by the pool I usually keep things simple and wear denim shorts and a plain t-shirt with my swimsuit underneath and maybe a kimono. I will spare you my swimsuit pics but I always find Bravissimo tankinis to be the best and they are my go-to place to shop for swimwear. These denim shorts and beach kimono are from Pep & Co last year. They are still in good condition which goes to show that sometimes cheaper clothing can last more that one season. For sightseeing in Havana I wanted a bright tunic style blouse (I read somewhere that when visiting Havana, you can have fun like the locals and dress as brightly as possible) but also knew I'd be hot and in the sun a lot so wanted to stay fairly covered. This tunic is by Joe Browns and goes up to a size 32. I teamed it with some hareem style trousers from Primark and these cushioned sandals which had a slight heel but were super comfortable and the shoes I wore the most both during the day and in the evening. They were new specifically for my holiday but didn't cause any blisters or sore feet which I was thankful for. I would never, ever normally consider wearing a playsuit but I picked this outfit up for just £6 in Primark thinking it was a top and I'd wear it with skinny jeans and sandals. It was only when I went to try the outfit on when I was at home later in the day that I realised it was a playsuit. I tried it on and surprisingly, it was quite flattering. This one is a size 18 and super comfy. 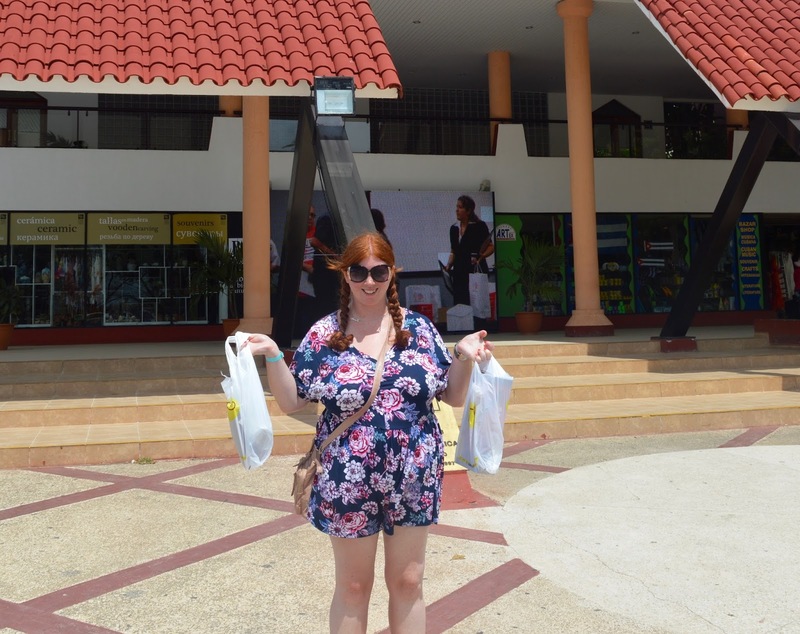 Perfect for a shopping trip in Varadero. Finally, I wore a couple of shorter dresses in the evenings where we had an a la carte restaurant booked. 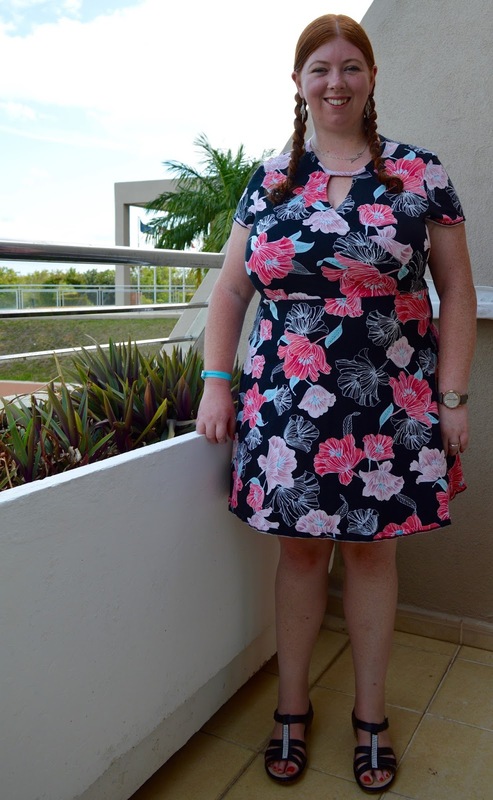 This dress from Dorothy Perkins was less than £20 in the sale this March It's pretty short (probably the shortest I'd go) and again in a size 18 was very comfortable. 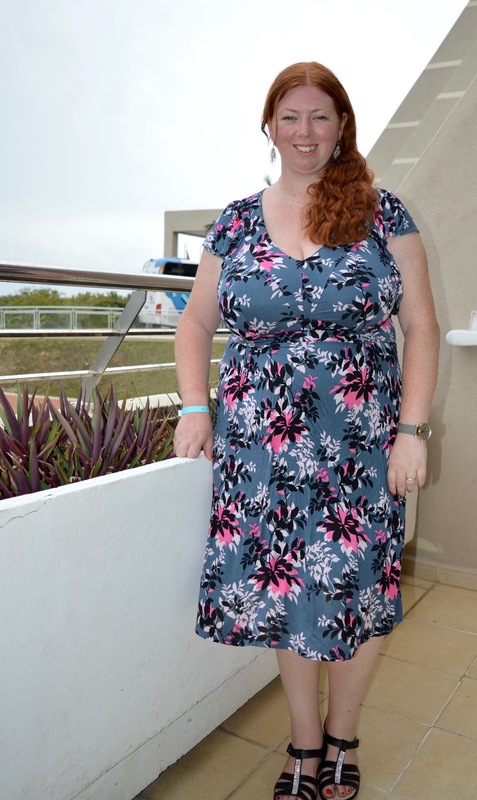 Then I always bring a handful of Boden dresses on holiday too. I usually buy a size 20 in Boden and their dresses are always very good quality and will last a good few years. I first wore this dress back in 2015 for my sister in law's wedding and it's still as good as new. As a side note, I was amazed that I could actually wear my hair down in Cuba without looking like Monica from friends in the Barbados episode. Humidity at this time of year isn't too much of a problem. I'm simple when it comes to jewellery and pretty much exclusively wear my handmade 'Mrs R' necklace by the fabulously talented Lulu & Charles jewellery with my DKNY watch and of course the compulsory 'All Inclusive' wristband they force you to wear! 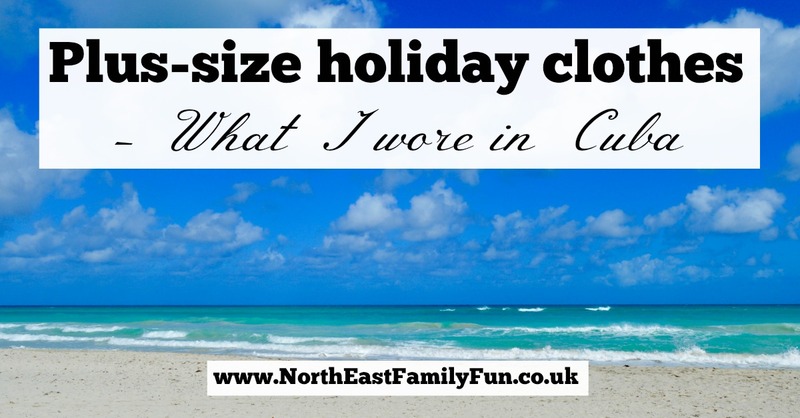 I hope I've provided you with some inspiration for where to shop and what to buy for your holidays this year. I think a mix of expensive classic items that will last a good 3-5 years mixed with a few cheaper items that last 1-2 years is a good combination to go for. 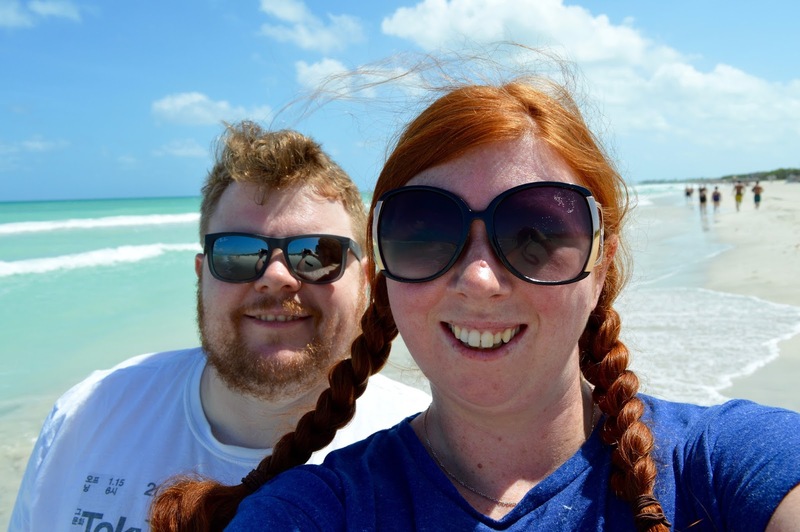 We're heading back on holiday to the Caribbean either this summer or next winter and I'd love to hear if you have any websites/shops for me to check out - let me know in comments if you have a recommendation or a go-to place I need to try. I love that blue skirt it's so flattering and the playsuit looks awesome too, I love your holiday style! Can't beat a bit of George! Some lovely looks here Sam! 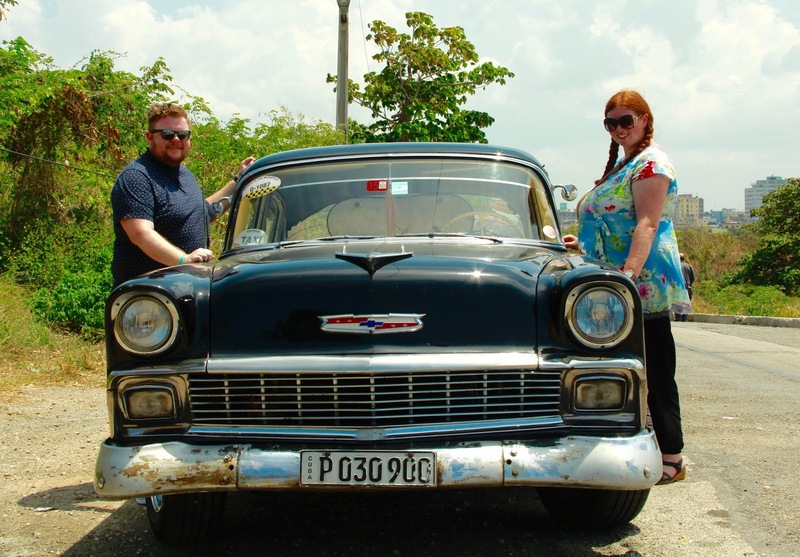 Excited to hear about Cuba as its on our "to visit" list. 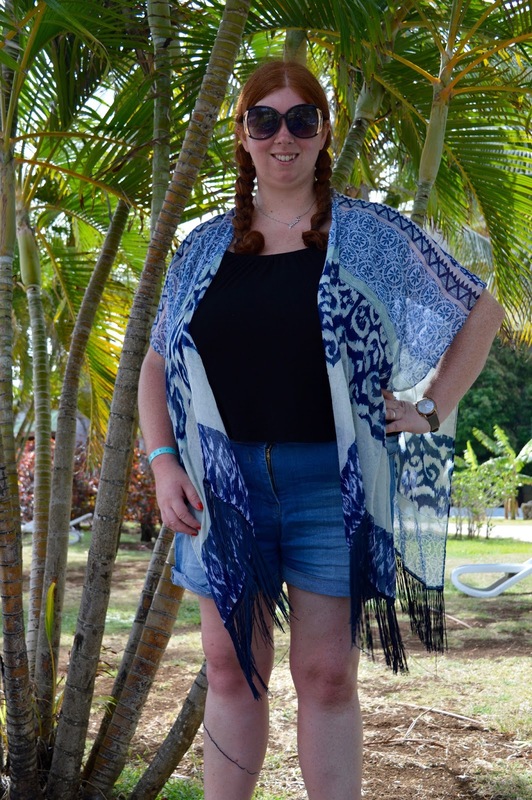 Love the blue kimono with the shorts! Your holiday wardrobe is beautiful! That playsuit really suits you, goes to show it's good to push yourself out of your comfort zone sometimes! Defo - I'm going to try more new things in future now ! Ah thank you so much Sharon - I love my Mrs R necklace. Won't be without it!